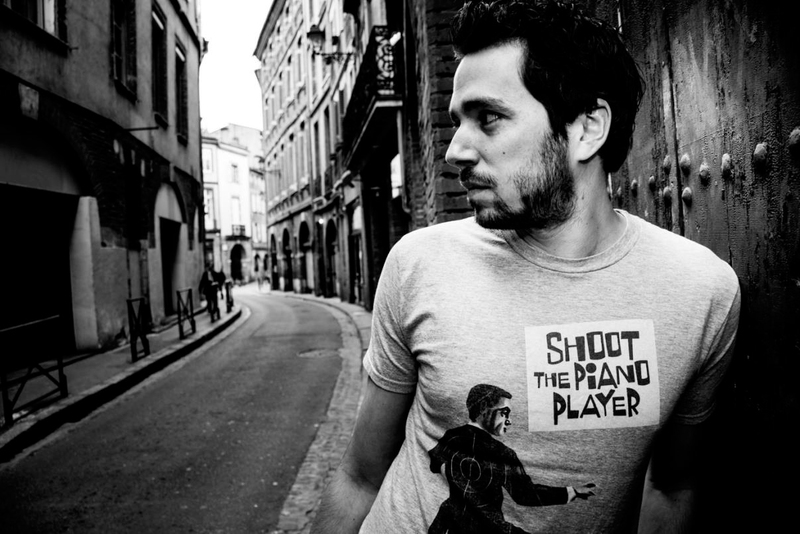 Rémi Panossian (born 1983, Montpellier, France), started playing piano at the age of seven. He was only ten years old when he attended a Michel Petrucciani concert and got hooked on jazz. Rémi studied at the Montpellier Jazz School, not only learning musical theory and the history of jazz, but also improvisation at which he excelled. He took part in many master classes and had the good fortune to interact with such musical greats as Stéphane Kochoyan, Steve Coleman and Andy Milne. In 2002 Rémi met the outstanding double bass player, Julien Duthu and the two started what has proven to be a fruitful collaboration with the release of “No End” an MP3 album in 2005, and in 2008 the CD, “Two”, released on the Plus Loin label for harmonia mundi. The duo received a Best New Talent award from L’Académie du Jazz, the French Jazz Academy. After 2 duet cds, many concerts, and great collaborations (Aldo Romano, Francesco Bearzatti, Pierrick Pedron, Rick Margitza…) Remi Panossian, began the trio adventure on the end of 2009 with Maxime Delporte on double bass and Frederic Petitprez on drums. The trio has released the album “Add fiction” on january 2011 which had a great reception from international press and audience. These three musicians are friends for a long time and the trio became immediatly a real Band ! Their unity is a wonderful strengh for their music which has been mostly described as being both Lyrical and Energetic. The trio has been elected “Revelation of the year 2011″ by the french radio TSF JAZZ! and they’ve been invited to play a song at Olympia Hall Paris for the ” You and the night and the Music ” show. In 2013 The trio ha released “BBANG” their second album, with great feedback from Press and audience.